You may not be aware that PlayStation has a range of games on the PS4 that enables multiplayer experiences, which require players to interact using only their mobile phone. It’s a clever concept given that most family members all have smartphones. You buy the game, download the app on your phone and, provided you’re all connected via the same WiFi network, you can have 4 player game without buying expensive Dualshock controllers. We have a few of these games including That’s you and Knowledge is power which was brilliant at Christmas. 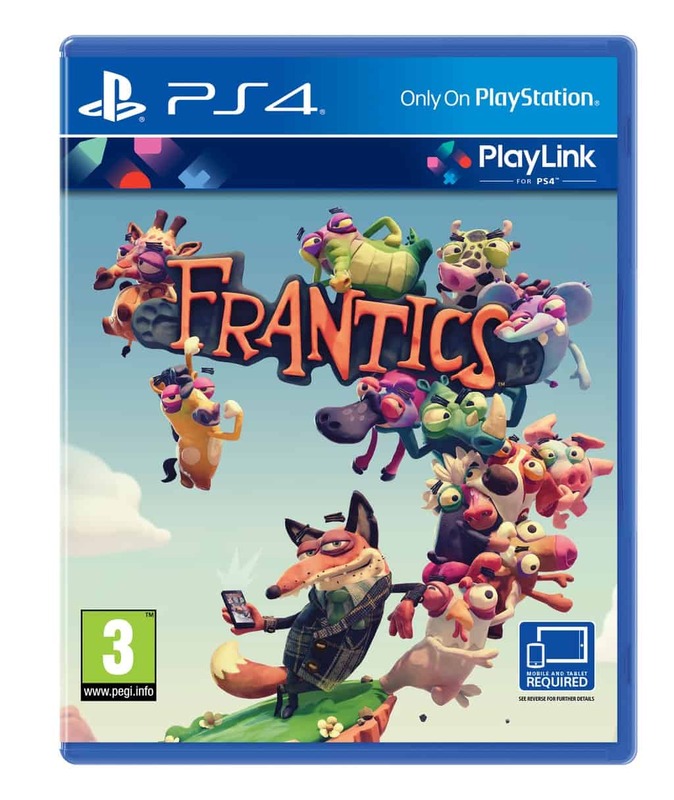 The latest title to be released is Frantics and this was the one my girls had been waiting for since the PlayStation event we went to at the end of last year. To play Frantics you need between 1 and 4 players who have downloaded the Frantics app on to their phone. You connect to the game by following the simple instructions in the app and then compete in 4 rounds of mini games, which are hosted by the game’s mascot The Fox. The object of Frantics is to win the rounds and gain the most crowns. These are funnily displayed stacked on your character’s head during cutscenes between games. When starting the game for the first time, you’ll be asked to take a selfie and enter your name. This can be your real name or a favourite nickname. At first, you’ll be given a random animal avatar, so if like me you have a child who always wants to be a certain animal, before confirming your entry, pay attention to the little button next to the image of your character and you can freely choose which animal you want to be. There are lots to choose from and they are all super cute so I would recommend checking this out anyway as you might find your spirit animal. Controlling your character during mini-games is easily done through swiping, tilting or touching a button on your smartphone. Most of the games can even be played one handed if needed. The mini games consist of races, assault courses and friendly battles. We have raced on foot and with box carts, completed assault courses using jet packs and had friendly battles on space hoppers where we had to try to pop each others hopper. It is lots of fun and sometimes the Fox may even set you a secret mission which only you will know and it could earn you either a crown or coins. Don’t worry if someone in the family doesn’t have a smartphone, iPads and other tablets work too. Provided you’ve downloaded the game’s app from the app store or Google play, this makes any PlayLink game easily accessible. The concept of PlayLink games makes them an attractive alternative to playing a traditional board game. It’s a joy not having to setting up any pieces and removes the frustration of reading though an instruction booklet. Frantics does all this work for you and having The Fox as host makes you feel like you’re taking part in British game show, like the ones you used to watch on a Saturday night as a family. 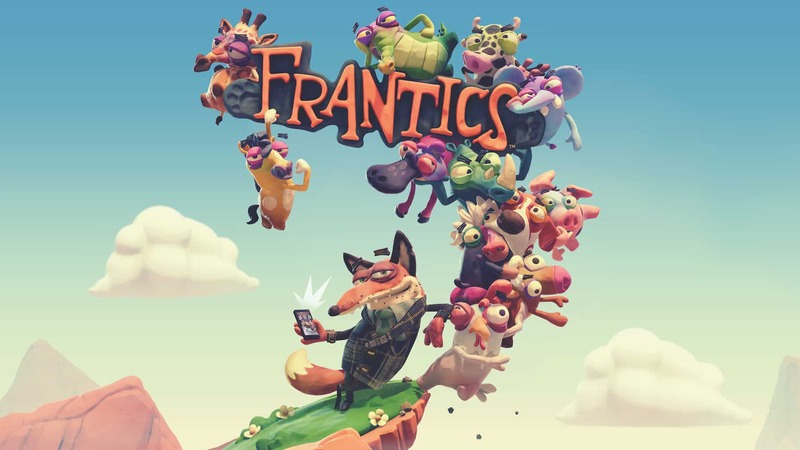 We highly recommend Frantics for families of all ages and as it is a PEGI 3 you know that the content is family friendly whilst still being lots of fun.